I’ve posted two reviews of Nikon 1 (CX) lenses (18.5mm, 70-300mm) today. But in thinking about those lenses I’ve also realized that Nikon needs a slightly better lens plan than it has produced so far. 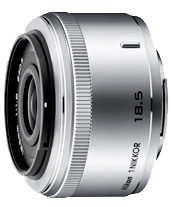 Nikon appears to be hoping that covers the 28mm/50mm/85mm equivalent prime requests. Well, it does, but oddly. The problem with these lenses is that f/5.6 aperture at the long end. As I point out in my 70-300mm review, that makes them "Sunny 16 lenses” given the small size of the sensor in the Nikon 1 bodies. In sunlight, f/5.6 at base ISO generally nets you 1/800 or slower, depending upon actual light conditions. That’s not terrible for the wide angle and mid-range zooms, but all the telephoto ones start reaching levels where when the light goes down, you’ll be leaning on the VR or else getting noisier results as you bump ISO to keep shutter speeds up (and remember, Auto ISO is missing some useful values, which makes things worse, yet another design dissonance). 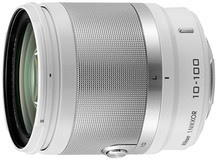 Better still, make those f/2.8 lenses, though then they start to be more V-only types of lenses due to size and weight. Frankly, I don’t get what Nikon’s optical experts have been up to lately other than maybe in FX. Even in FX it seems that Nikon is not reworking needed lenses, such as the 24-70mm f/2.8, and spending more time on convenience zooms. It appears to me that Nikon got hooked on volume and pursued convenience zooms over everything else. Yet what we’re seeing is a return to niche as unit volumes plummet in camera sales. Only Nikon isn’t exactly returning to niche with lenses. As I’ve written elsewhere, any interchangeable lens camera system needs a base set of lenses: three to six fast primes (24/28, 35, 50, 85/105), two fast zooms (24-70, 70-200), and yes, a small sampling of convenience lenses (wide angle zoom, super zoom covering 24-200mm, telephoto zoom). In the case of a small sensor system such as the Nikon 1, you also need a design goal that’s consistent: small, competent, affordable, which will likely dictate some compromises (e.g. f/1.8 instead of f/1.4, f/4 instead of f/2.8). Compromises are not the same as dissonances, by the way. More and more I’m coming to the cynical view that Nikon mostly wants to sell a boatload of what I call “closet cameras”: cameras that people buy because they think they need them but they end up mostly sitting in the closet unused. 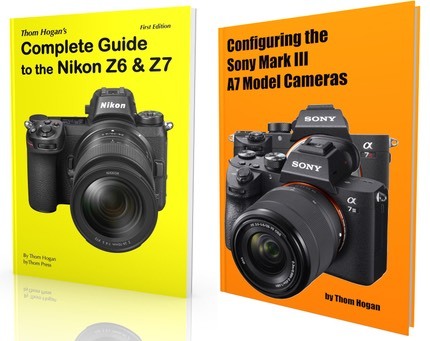 The funny thing is that the two lenses I’ve posted reviews for today are the antithesis of that, so it’s not exactly that Nikon can’t do what we want, it’s that they mostly don’t.